This is WOW News 247: Nigeria DSS Helped to Prevent Terrorist Attack in US: Obama Thanks Buhari? Nigeria DSS Helped to Prevent Terrorist Attack in US: Obama Thanks Buhari? Details of how the Nigerian security agencies dismantled the leadership and stronghold of the dreaded Boko Haram insurgents emerged last night, with confirmation that the Nigerian leader of the sect, Abu Musab al-Barnawi, had been captured three months before the fall of Sambisa forest to Nigerian troops. A top security official confirmed to Vanguard that Abu Musab al-Barnawi, a top Boko Haram and ISIS leader, was rated by the United States as the world’s third most wanted terrorist and a major threat to world peace. Al-Barnawi, who was spokesman for the Nigerian-based Islamists, was declared Nigerian leader of Boko Haram last August and had been featured in the latest issue of an IS magazine. The source revealed that the Nigerian security agency successfully arrested the terrorist and took him into custody about three months ago, paving the way for the sacking of the Boko Haram stronghold in the Sambisa forest. The source said: “The suspect, who was responsible for major killings, kidnap of locals and foreigners between 2012 and 2015, is in our custody. “In fact, when the rest of the world got to know that the key terrorist had been captured by us, they had been sending their officials to come and interrogate him in our custody. The source also confirmed that unspecified Boko Haram leaders and fighters were fleeing into other parts of Nigeria to escape the fire power of the military who vowed to fish them out wherever they might be hiding. “We will smoke them out wherever they may be fleeing to,” the official vowed. According to the official, it is such a high level of professionalism and coordination that enabled the DSS to foil a major terrorist attack in the United States of America about six months ago, which saved lives and property in that country. “It was such a feat that the US President had to send a commendation message to his Nigerian counterpart, Muhammadu Buhari,” the official said, pointing out that the DSS was a notch ahead in terms of expertise and professionalism. “We can say without equivocation that we are high up there in terms of professionalism in the intelligence community and we have made a significant impact in nipping in the bud major incidents that would have posed major threats to the country,” the official said. He pointed out that because of the excellent work being done by the DSS under the present administration, major countries of the world now turned to the agency for information and accord it more respect and acceptance than in the previous years. 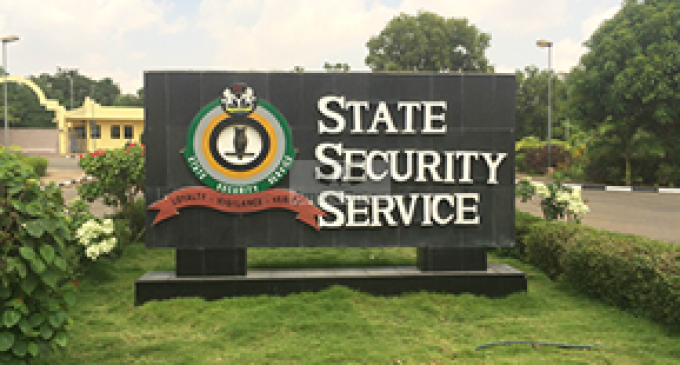 The official repudiated the notion that the DSS and other security agencies in the country are at war, pointing out that there was nothing of such. The official said: “We work together for the common interest of the nation and its people. There is no in-fighting among the security agencies even though there may some misunderstanding at times. Meanwhile, personnel of a security outfit recently established by Abuja Municipal Area Council, known as AMAC Marshal, have apprehended a middle-aged man suspected to be one of the fleeing members of the Boko Haram sect, in Abuja.